Recept za riblja corba od oslic,morkov,brokula i zacini kako ste e djumbir i drugi dodatoci,e navistina mnogu vkusen posen rucek.Mene navistina mi se dopadna mnogu,za 45 minuti imate zdrav i vkusen obrok.A kujna polna so miris na nesto sto se gotvi vkusno,koj ce ja proba ce saka uste ,uste i ce proba da si ja napravi sam.Zdrava hrana i zdrav i dietalen obrok. Vo pogolemo sad za gotvenje, se sipuva 1 litar ladna voda,se dodava iscistena od koza,izmiena i na pogolemi parcinja isecena riba oslic,ova e obrok za 2-3 lica. Se odstranuvaat luspite i na kompiri,na kromid,luk,se lupi i morkov,site zelencuci se stavat vo tendjereto. Se dodava sos od patlidjani od zimnica ili 1 svez domat,se dodavaat i suseni zacini,suv magdonos,sol i maslo. Nastrana vo drug mal sad se razmatuva brasno so melen crven piper so malku voda,i se dodava vo tendzere kaj drugi zelencuci i riba. Corba se stava da se vari, okolu 45 minuti, i potoa se dodava melen biber,djumbir,a po potreba se dosoluva corbata. Se vadi riba vo cinija i se odstranuvaat koskite,i od kompiri se vadi malku vo cinija so viluska se pasiraat i se vracaat povtorno vo sad vo koj se varea. Se sluzi malku izladena kako glavno posno jadenje,isto taka i moze da bide i dietalen zdrav obrok. 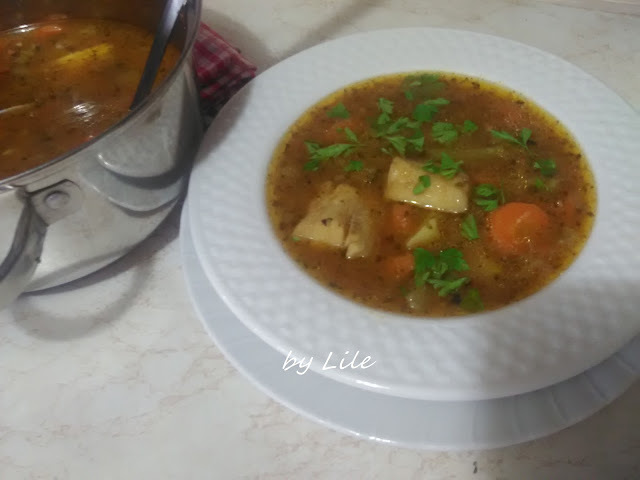 Fish soup with broccoli and carrots and ginger. Recept ima i video recept na mom You Tube kanalu. Recipe for fish soup from hake, carrot, broccoli and spices as you e ginger and other accessories, is truly scrumptious lean lunch.My really pleases me much, for 45 minutes you have a healthy and tasty cuisine food.And are full of the smell of something what to cook tasty, which I will try if wants even more soup.You try to make me sam,healthy food and healthy and dietetic meal. In greater fruit for cooking, stoppers 1 liter of cold water, is added cleaned of goats, boots and larger pieces of sliced ​​hake fish, this is the meal for 2-3 persons. Are remove the flakes and potatoes, the onion, the onion, the carrot and peel, all vegetables be put in the pot. Is added sauce of egg-plant of mattresses or the fresh tomato 1, are added and dried spices, dry parsley, salt and butter. Aside in another mal now stir flour are ground red pepper with a little water, and is added in container ( in the pot) what other vegetables and fish. Soup is to digest, about 45 minutes, and then is added ground pepper, ginger, and if need be add salt in soup. Is practiced in fish bowl and the remove cat, and of potatoes is taken in little bowls are the mashed with a fork to and is now again in cam back in which the welds. They use little cool to the main lean edible, and also can be dietetic and healthy meal. 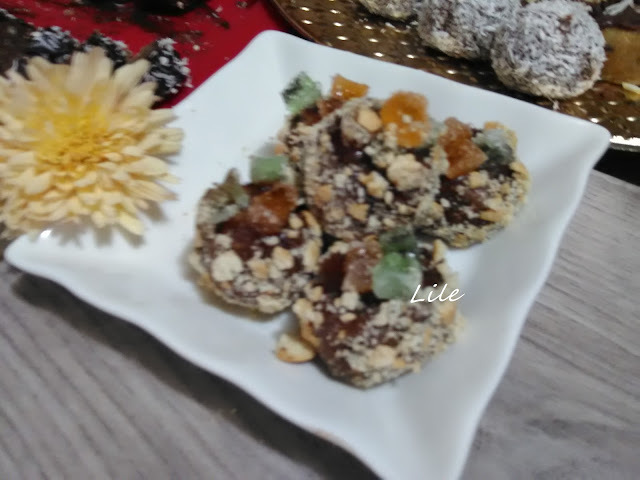 The recipe has a video recipe on my channel.